One of the biggest concerns dental patients have is how they will look during treatment. Braces come in all shapes, colors and sizes. 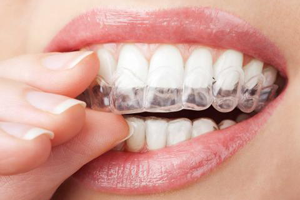 For those patients wanting an invisible look, our Boise dentists offer tooth-colored or clear braces. We also provide clear wires to help make the treatment virtually invisible. It is best to schedule a consultation with one of our highly trained dental staff. However, taking this six step survey related to your lifestyle and expectations can help you determine if Six Month Smiles Clear Braces is a suitable treatment plan for your needs. Six Month Smiles Clear Braces are similar to regular teeth braces in that they use the same technique to move teeth. The main difference is really the goals of your treatment plan. Six Month Smiles Clear Braces focuses mainly on the teeth that show in your smile. For those that have functional issues such as problems chewing, traditional braces may be the best teeth straightening solution. Essentially, Six Months Braces is geared towards more cosmetic goals, straightening the teeth that show in your smile, whereas traditional braces will correct functional dental problems. Some Six Month Smiles treatments take less than six months, other more complicated cases will take around 9-10 months. However, the majority of treatments are completed in six months. Six Month Smiles Clear Braces uses light force to straighten your teeth. Since the treatment focuses more closely on straightening the teeth that show in your smile, and less on the larger back teeth that take longer to move, this treatment plan is usually fast and comfortable for patients. You will feel some tightness immediately following the adjustment of the braces, however this is short lived, and rarely causes any type of pain. The cost will vary based on the individual case. 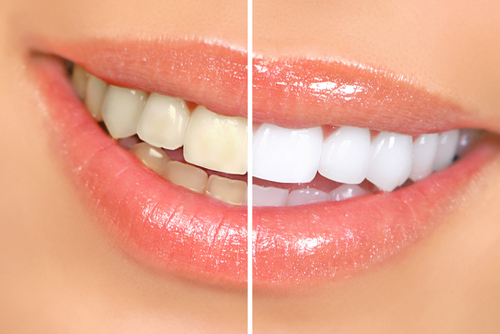 However, six month smiles cost less than traditional braces, porcelain veneers and orthodontic alignment treatments. After a consultation with one of dentists we will be able to tell you the exact cost of your Six Month Smiles treatment plan. Why Do People Choose Six Month Smiles Clear Braces? Braces can be bonded to crowns, implants, dentures and bridges just like natural teeth.